Leading international classification society Bureau Veritas has supercharged its RAM software suite Optimise© in order to help offshore operators and contractors get more out of their assets and develop projects more cost-effectively. 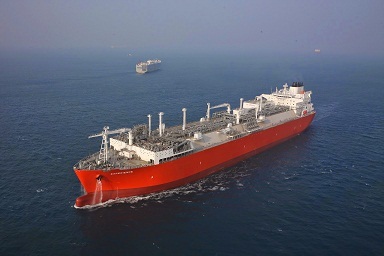 Excelerate Energy's 173,400 cu m, 800 million cubic feet per day FSRU, Experience, was delivered to Petrobras' Guanabara Bay facility in Brazil in May of 2014. Bureau Veritas's Optimise RAM software was used to assess the regasification installation performance and ensure the send out target requirement set by the project was met. Optimise© V3 has a clear and simple user interface for model building and results analysis. Production buffering, boosting and profile modification modes are available. Operational behaviour (ramp-up, restarts, line-pack drawdown rates) can be captured via a powerful conditional logic system. Through life value changes, including equipment phase-in and phase-out are easy to model. There is a wide array of failure and repair distributions. Gas contract analysis and equipment priorities on failure are included. Storage and shipping simulation allow the analysis of the entire product supply chain. Learn more about Bureau Veritas's Marine & Offshore services.